As per the Notice of Chaishui No.32 (2018) for VAT Rate Adjustment issued by the Chinese State Administration of Taxation, the VAT rate will be cut by one percent as from 1 May, 2018, ie. the rate for manufacturing will be lowered from 17 percent to 16 percent and the transportation, construction, basic telecommunication services and farm produce will be lowered from 11 percent to 10 percent. The export refund rate will also be adjusted accordingly as per the tax rate on the purchase invoices and will apply to all the exports before 31 July 2018 (export date on the export customs declaration documents). As from 1 August 2018, the export refund rate will be implemented as per the new rate. Therefore, it can be predicted that either the ship space or the air space before the end of July will be very tight. Pls get prepared and try to arrange the shipment as earlier as possible before the export peak time arrives. 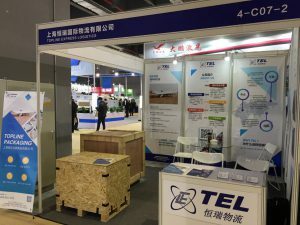 TEL (Topline Express Logistics), located in Shanghai China, have been working with clients for reliable service and competitive rates since 1994. 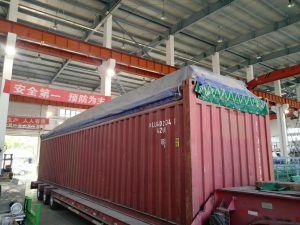 Recently, TEL nominated to handle several shipments in whole process, including packaging. The first shipment of 4×40’OT, 10×40’GP and 4×40’HQ ( total 256tons, 990cbms) are equipments for tread extrusion line heading to Charleston USA. As per client request, TEL successfully shipped all cargos in one lot at the end of month which is the peak period of vessel space and swiftly finished booking, transport, customs clearance and loading within ten days when order received. The second shipment to Chittagong with cable machineries in 1×40’OT, 3×40’HQ and 1×20’GP, is also packaged and shipped by TEL. TEL has own subsidiary packaging company, TOPAC, providing complete industrial packaging solutions, from assessment, design, to the packaging completed at the site of client factory. The innovative combination of packaging and logistics reduced container quantities and estimated to save 15% cost in whole process. The high-quality services won client’s satisfaction and compliments. 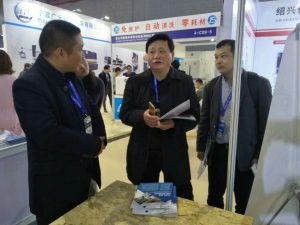 In March 2018, Topline Express Logistics has successfully attended 5th China Machine Tool Exhibition. During this period, Topline presented company history, service scope, related cases and some products. Topac, as subsidiary of Topline, also atteneded exhibition jointly, showing two models of buckle cases. Such cases is genuinely convenient for assembly, disassembly and recycling, with high value of application. Combining packaging with logistics, not only ensure the cargo safety, but also reduce logistics cost in whole process. This innovative logistics concept raised by Topline has impressed our customers and many visitors as well. They have expressed their interest of cooperation with us for packaging and logistics service.